love your cooling parasols, i would need one. Your drink sounds good too. they are so funny and the pattern is excellent, love the coloures, too! 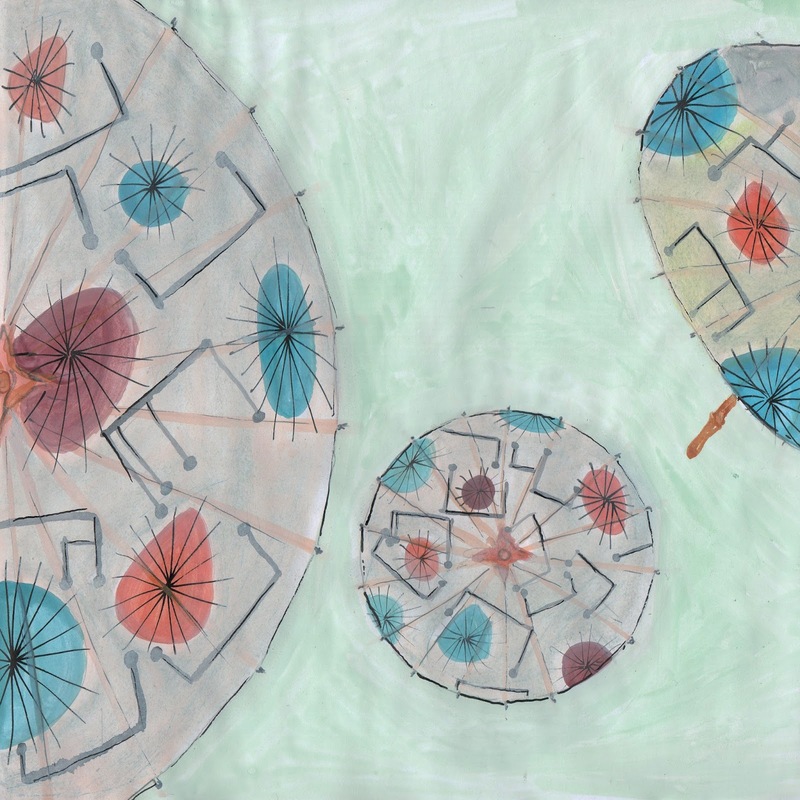 I see your parasols in different sizes: they'd work even as small umbrellas on a drink! Their pretty pattern reminds me on a fabric in my grandparents' house. Can see its pattern on b/w photos (ja, 50th! Found them years later in the former henhouse, covered with dash of paint...). ThanX for your refreshing drawing and time for the AC! Okay, Nadine, I want one of your parasols, full size! Please! You and I should meet up again, this time possibly on the cool breezy Alaskan coast? the tequila and lime juice part sounds just great. Have tequila here and a couple of limes. Very cute for whatever age! Have a great weekend!